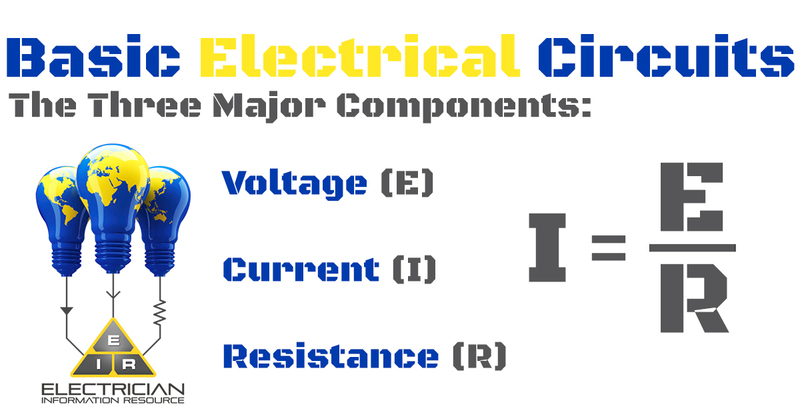 Basic electrical circuits are made up three components – voltage, resistance and current. Basic electrical circuits need a never ending looped pathway for electrons to travel along. Electrons need an electromotive force (EMF) source and load. 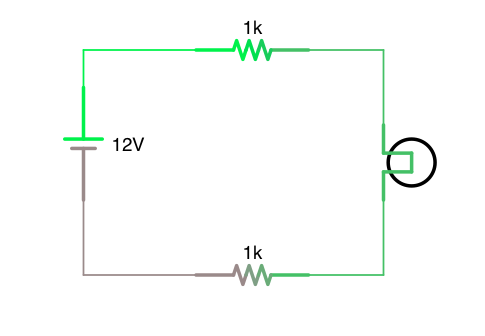 In order to make this circuit work, both the source and the load would need to have an infinite capacity to allow the electrons to sustain a continuous flow. When you take a wire, or join many wires together, and loop it to form a continuous path, you have what electrons need to flow. When all of the electrons are advancing in a clockwise motion in the circuit, they push the ones before them forward, just as if you had a hula hoop full of marbles. This is a circuit, and you now have the ability to support a continuous flow of electrons. Continuity in a circuit is important. Any break in the circuit will stop the flow of electrons. Where the break is does not make any difference. The wire or conductive material must be unbroken from start to finish in order to sustain the flow of electrons. For example, if you turn on a lamp and it does not light up, some possible causes could be – either the bulb is burnt out, there is a break in the wire, or a faulty light switch. These causes stop the flow of electrons. The electrons cannot pass through a burnt out bulb because the filament (resistor) is broken. Just as it can not pass through a broken wire. In addition to current and voltage, power is also measured in electron activity within a circuit. Before you analyze the power in basic electrical circuits, you need to understand what power is. Learning basic electrical theory can help with this. Billions of appliances and other devices are plugged into wall outlets everyday. People take for granted that once the item is plugged in, it will work. If it doesn’t work, it will be your job to find out why and to fix the problem. Most likely there is a break somewhere in the circuit. But in electrician lingo, power is not just the juice that makes appliances work. It is a measure of how much work can be performed within a certain amount of time. Work, in this case, is defined as how much weight can be lifted against the pull of gravity. Heavier weights, or weights being lifted higher, require more work. Power is the measurement of how quickly a standard amount of work is done. The power in car engines is measured as horsepower, which was initially invented for steam engine manufacturers because horses were the most common source of power at the time. Comparing the power of the engine to the power of how many horses it would take to produce the equivalent amount of power was something the average person could understand. The power in a mechanical engine includes both the speed of the engine and the torque it provides at the output shaft. The output shaft power is measured in RPM (revolutions per minute). Torque is the amount of twisting force the engine produces. Neither speed nor torque alone is a measure of how much power an engine has. For example, a 100 horsepower diesel tractor engine turns fairly slowly, but provides a great amount of torque. Whereas a 100 horsepower motorcycle engine turns very quickly, but provides very little torque. Both engines produce 100 horsepower, but not at the same speed or torque. Why is horsepower relevant to an electrician? Typically an electrical motor will be rated in horsepower, and we as electricians need to convert horsepower into power. This is not a hard task, 1 horsepower is equal to 746 watts. You have an electrical motor rated for 15HP, what is the rated wattage for this motor? Electrical hazards occur when there is no secure connection to an earth ground. When ungrounded, there is no way to know how much voltage exists between any point in the circuit and ground. When you ground one end of the voltage source in a power system, then there will be at least one point in the circuit without a shock hazard. 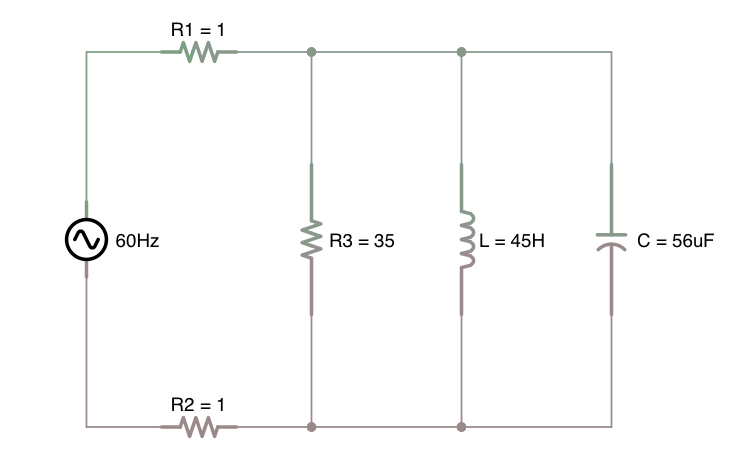 Within AC basic electrical circuits using only two wires, the conductor connected to negative is called the neutral, and the other conductor is called hot, or live. The voltage source and load are not affected by the ground in any way. Grounding is purely a safety feature. Ensure that at least one point in the circuit is properly grounded. The live side of the circuit has the potential to cause serious injury, even death. Whether you are working on large complicated equipment or basic electrical circuits, it is very important to always disconnect the equipment you are working on from the power source and use the proper lock-out procedure. 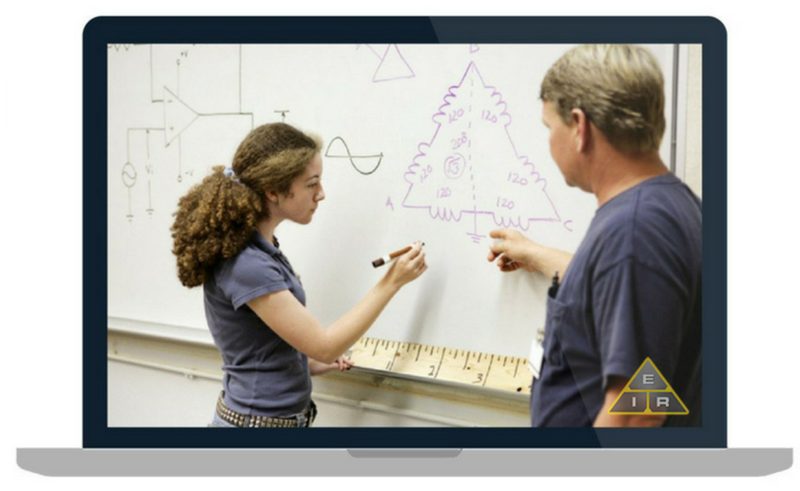 Now that you have brushed up on the basics of electrical circuits it is now time to test what you know.